This year’s Third Sector Awards are open for entries with a new look and a new name. 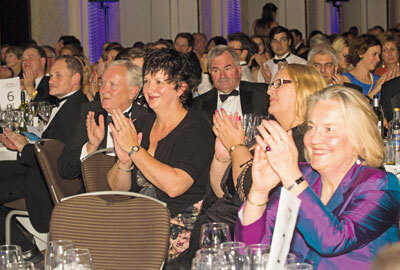 The Third Sector Awards – previously called the Third Sector Excellence Awards – recognise the achievements of charities, voluntary organisations and social enterprises. There are 17 categories this year, including Communications Campaign, Charity Partnership and the Big Impact award. There are a number of awards that recognise the achievements of individuals working in the third sector. Entry is free and voluntary sector organisations of all sizes are encouraged to enter. The deadline is Thursday 26 June. The awards this year will also incorporate Britain’s Most Admired Charities, Third Sector’s highly coveted set of awards whose winners are determined by the sector itself. The shortlist for these awards will be drawn from nominations by a group of influential figures in the charity sector and the winners determined by a vote by sector staff later this year. No nominations can be made for these awards. Stephen Cook, editor of Third Sector, said: "The Third Sector Awards are a great opportunity to celebrate the outstanding work of charities and social enterprises and the people working for them. "Combining them with Britain’s Most Admired Charities will make this year’s ceremony even more rewarding, so please take the time to check the list of categories and enter the ones that are right for you." For a full list of the categories and details about how to enter, visit: thirdsectorexcellenceawards.com.